In many areas of daily life, we rely on advice of experts. These people have spent years honing their expertise, often through rigorous academic training. It’s not surprising that we expect “experts” can help us pick outperforming stocks and tell us when to enter and exit the market. If someone could reliably do those things, investing would be simple. You would just follow their advice. There’s no evidence anyone has this expertise. There have been extensive studies of the stock picking accuracy of market gurus. The most extensive one looked at the performance of 28 well-known “gurus,” who collectively made 4,629 forecasts from 2000-2012. It found none of them were accurate at a level that would benefit investors. This dismal performance isn’t surprising. We live at a time when all information about publicly traded stocks and bonds is instantly disseminated to millions of traders worldwide. These traders incorporate that information into the price of those stocks and bonds in a nanosecond. Those prices are likely to be fair at that moment in time. Gurus can get lucky and pick a stock “winner,” but the odds against doing so are high. Gurus don’t perform any better when they attempt to predict the direction of the market. You can learn a lot from the performance of tactical asset allocation mutual funds. The fund managers of these funds attempt to time the market by shifting assets based on their assessment of where the market is headed. There’s a better way to invest: Owning a globally diversified portfolio of low management fee passively managed funds, in a suitable asset allocation. 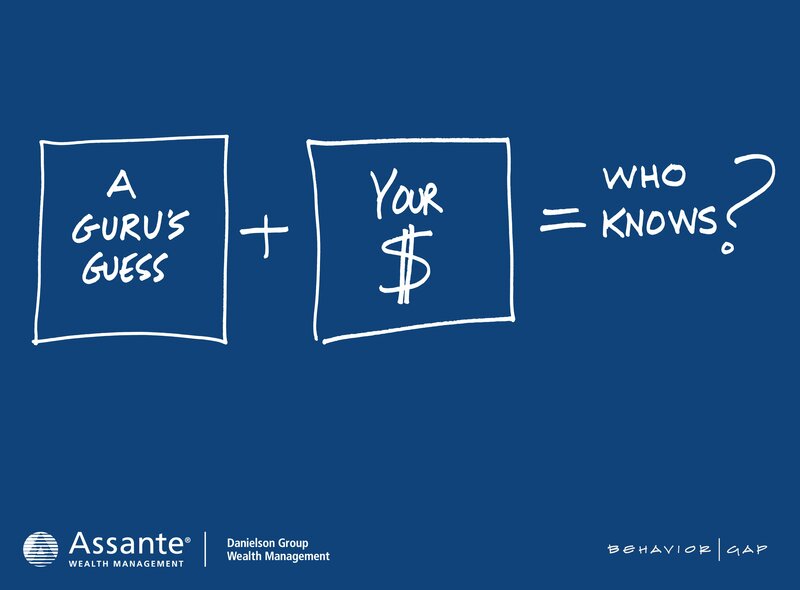 At Danielson Group Wealth Management, we follow the evidence. We don’t believe in the tooth fairy or stock market gurus.